It is January and you are ready to get started on your new year. What does the start of a New Year look like for your business? Are you still trying to move out seasonal and clearance merchandise? Are you preparing to trim back payroll by releasing seasonal employees? Maybe you are already thinking about inventory and what you will need to do to prepare for that day. 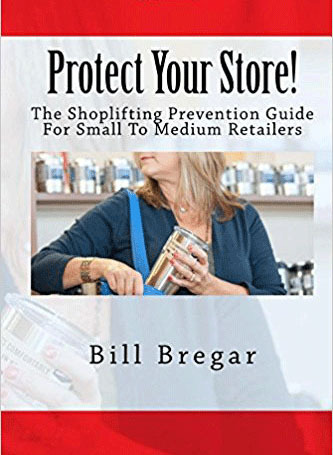 There are all sorts of ways retail owners and managers start the New Year but I would suggest that before you look forward you take time to look back on the previous year. There are a couple of reasons I would suggest reflecting on what the past year has been like for the business. First, by taking the time to reflect on the year you can celebrate the store wins with the entire store team. Employees want to know how their contributions have helped the store meet goals that were set. You may have one or one hundred successes to share but your entire team has put in the work and should be given a chance to share in the successes. It can be a simple cake in the breakroom or a small in-store party but let your employees know that their efforts paid off and are appreciated. Another reason for reflection is that you can evaluate what did not go as planned. This is when you pull out planning documents or action plans and look at what goals were not reached. Did you meet your sales goals? Did you make stock shortage objectives? Did you meet your employee turnover goals? If you cannot celebrate an item as a win you will want to move that to the new store action plan for this year. You and your management team will need to consider what can be done differently to achieve the goals you set and missed. This is not a 5-minute task. This will require the team to drill down to the causes that led to a missed goal and then plan how to improve it. Sometimes this can feel personal and everyone needs to leave their feelings outside the room. Approach the problem as a group and find ways to help each other with action items. One of my favorite tools for a New Year is what I have adopted from several workplaces, a “What Works/What Didn’t Work” session. I have seen these done by only a management team but the truly effective sessions include team members and hourly staff. The employees will often provide you with insight into problems you did not know existed. Here is an example; you may think you have a good return policy and your return desk employees are happy. You don’t see anything that indicates problems with your refund program. What you may not be aware of is that your service desk employees are unhappy because they feel that managers are not supporting them after they turn down a refund with no receipt. The managers are called when the customer is upset and the manager arrives and tells the customer they “will take care of it”. Sure, the customers are happy and the policies look like they are enforced but the service desk employees feel foolish and undermined. A “What Worked/What Didn’t Work” session can help you see how you can improve policies, services and improve morale. When you conduct one, make sure you also ask your employees for suggestions on how to improve what they think did not work. Don’t let it simply be a gripe session. It also allows you to clarify reasons some policies may be in place that employees were unaware of before the meetings. After you have celebrated, evaluated and set new goals you are almost ready to jump into your New Year. Make sure your goals are realistic and create plans that will be effective in achieving those goals. If reducing shortage by .5% is your goal, you may want to install an Electronic Article Surveillance system. If making your hiring process easier and reducing paperwork is a goal, Loss Prevention Systems, Inc. can help you with their Applicant Management Center. If parking lot break-ins are an issue you can request improved lighting from your property management company. If you need help in risk assessment and loss reduction Loss Prevention Systems, Inc. offers a consultation package that involves everything from an onsite visit to a comprehensive loss prevention policies and procedures package. Start your year off right with a look back at the previous year. Share wins, evaluate opportunities and work as a team to create plans that will lead to an even better year than last. 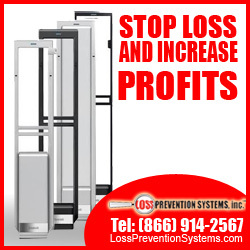 Make 2019 a year of growth and prosperity and consider taking Loss Prevention Systems, Inc. along as a partner!